Content curation: Blessing or curse? If you haven’t already guessed, I’m older than most people in content marketing. Which means I grew up in an era when reposting someone else’s content was plagiarism, pure and simple. But times change…and what was once considered plagiarism is now called curation. And that’s a good thing. Curation: When another site publishes your content with attribution, a link back to your site, and, in many cases, original commentary. So, while it may initially be rather shocking to see your content on someone else’s site, as long as there’s attribution and a link, it’s cause for celebration. Content curation is locating the very best content for the topics your audience wants to read about and presenting it to them as a one-stop-shopping extravaganza. True curation always contains a link back to the original source, and best practice is to add your own commentary and original thought rather than just reposting without explanation. While all curation helps with SEO (as long as you’re curating from reputable sites), it only increases your perceived authority if you offer your own thoughts about the curated content. It’s the difference between reposting a recipe vs. adding your own review of why the recipe is so good. The simple reason? Because it’s easy and it works. Let’s be honest, creating new content on a regular basis is tough, especially if that’s not your core competency. But nobody (especially Google) likes a site that hasn’t posted anything new in six months. So, instead, people compile the best content they come across and offer it to their own audience, all in one place. For most people, compiling the best content and adding a comment or two is a lot faster and easier than creating content from scratch. 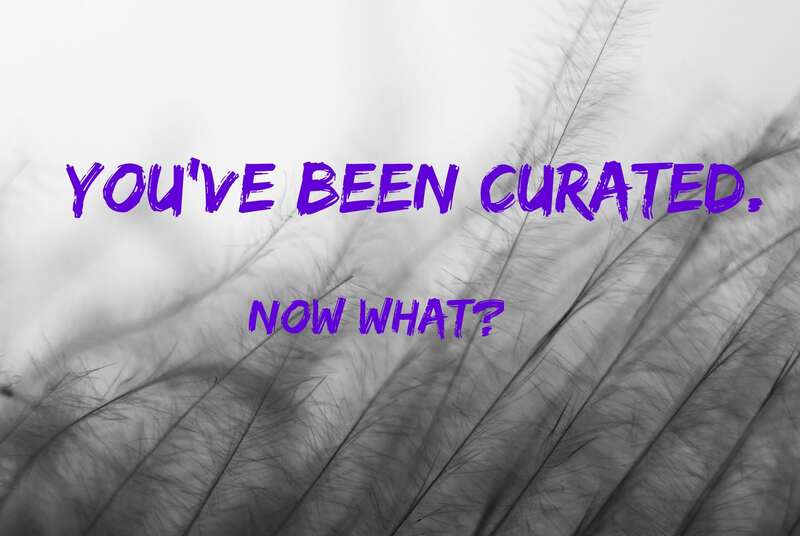 Why would you want to be curated? In a nutshell…eyeballs and backlinks. When someone curates your content, it’s distributed to all of their followers. Meaning that people who never even knew you existed might see it, click the link back to your site, and fall in love with you and what you have to offer. It also provides backlinks, which Google still values, even if not as much as they used to. And, if the site that curates your content has more authority than your own, that’s an endorsement that’s hard to beat. If you’re a teeny startup and Google curates your content, that’s more advertising than you could ever afford to pay for. What should you do if you’re curated? First, check to make sure there’s proper attribution. If there is, then do a little happy dance. Start a dialog with the person who curated your content. Building a personal relationship is a great way to increase the likelihood they’ll curate more of your content. Spread the news. Share a link to the curated content to your followers, along with a thank-you to the person doing the curation. Not only does that add to your own credibility, it sends more traffic to the person who curated your content, making it more likely that they’ll do so again. If there’s not attribution, that’s plagiarism, not curation. Contact the webmaster of the offending site and ask them to either provide attribution or delete the content.